The Past handful of summers I have travelled across the country to ride some well established bikepacking routes. The trips have always been well worth it, but it is always painful to leave Montana during our exceptionally short Summer season. Also, if the reason to live up here is great access to NFS and endless mountains, why not explore more in the back yard? Those were my thoughts this summer, but sometimes things get busy and it takes some friends from out or town to get you motivated for that trip. Big Janet, the one and only, @ultraromance was the main instigator in this case. He was going to be up in Montana and connected me with Warren as well as Hubert from Madrian Cycles and his friend Bill, who's first bike tour this would be. No way to make friends like 4 days out in the woods. The route took us from the shop in Bozeman, across a great dirt route - Trail Creek Rd. 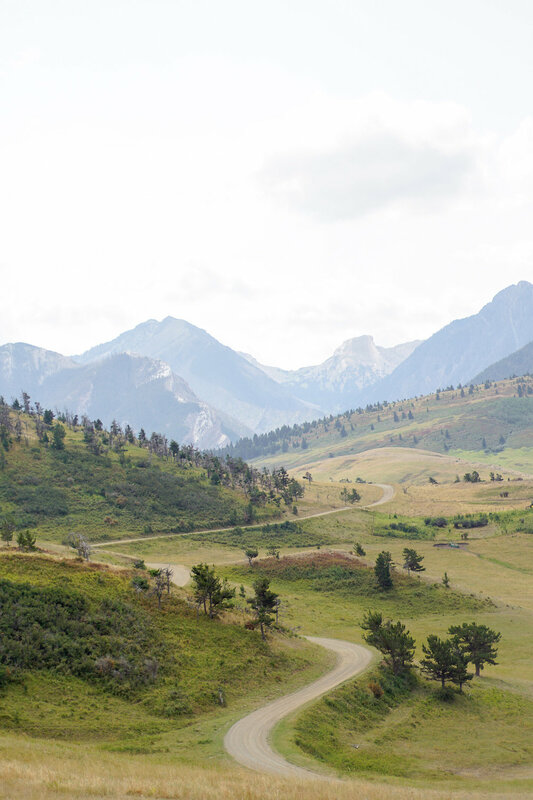 - into Paradise Valley where we camped on the Yellowstone River the first night. From there we refuled in Livingston before we headed East into the West Boulder River Valley and camped on the border of the Absorka Wilderness. 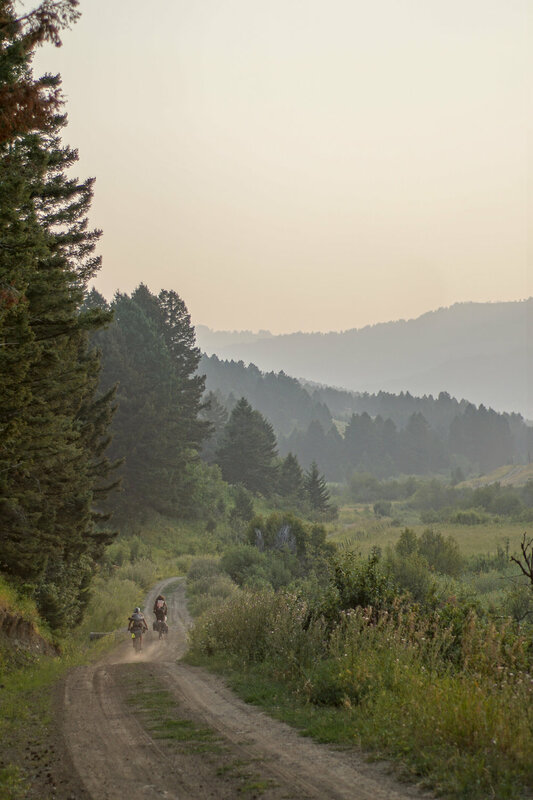 The first two days proved to be smoky and hot, but not much less can be expected in the West this time of year. 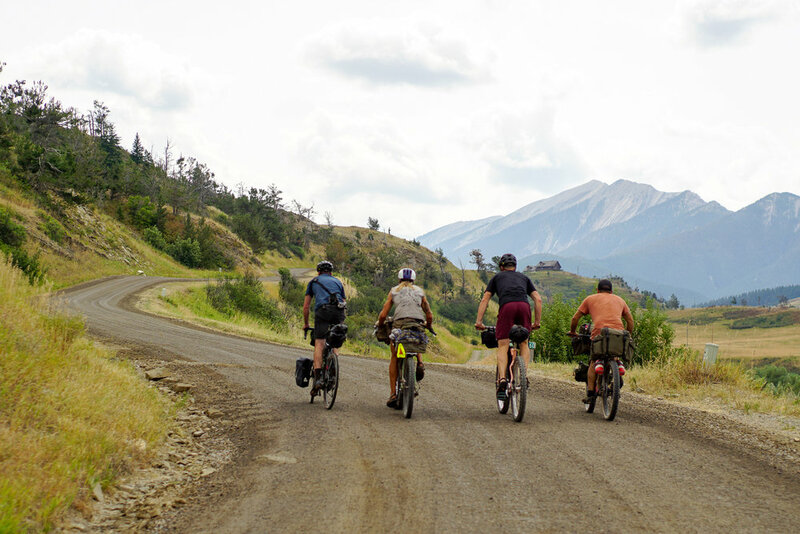 We pedaled up some winding, climbing roads, as the views of the Absorka mountain range egged us on ahead. 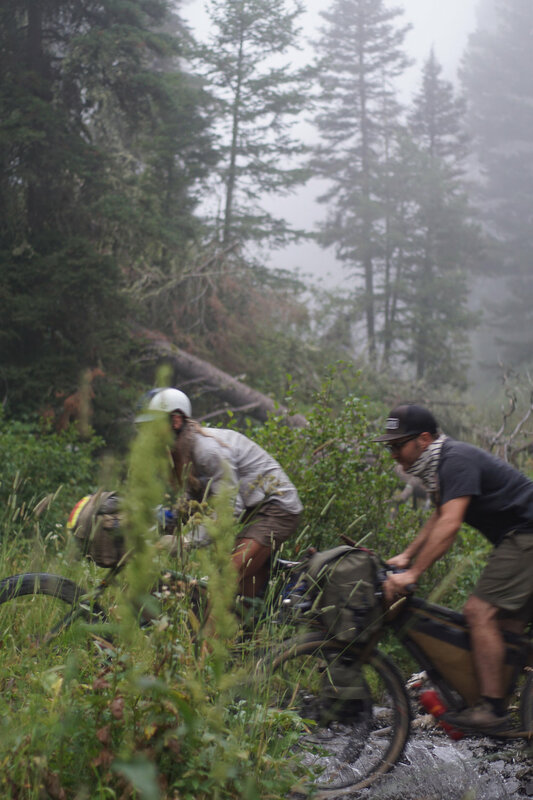 Day 3 started nice, with a flowy singletrack leading us back to Boulder Rd. We ripped some big descents before rolling once again into Livingston for a stop at the famous Mark's in n' Out. Here Warren and Sam had to roll the Highway back to work for Monday, but Hubert, Bill, Ronnie and myself got to push onward. Instead of the highway we routed around the Bangtail mountain range, up Willow Creek road. This climb is normally hot and exposed, but a cool breeze made it pass quick and the smoky grasslands only became prettier and more eerie as the sun set on our climb. We camped at the base of the ridge where we dined on ravioli and Poppi's house red. The next morning we awoke to grey skies. The rain threatened to come from time to time, but for the most part we were just hanging surrounded by a cloud. As we worked up the 3,000 ft of climbing the winds picked up and we decided stop for lunch and warmth in a nice sheltered spot. 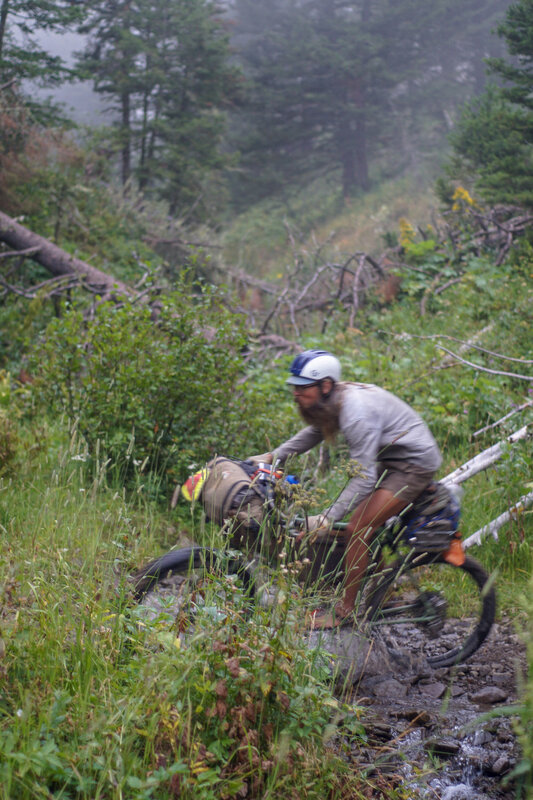 Once we were ready to keep moving, we hopped onto the Bangtail Divide, one of Bozeman's classic trails. 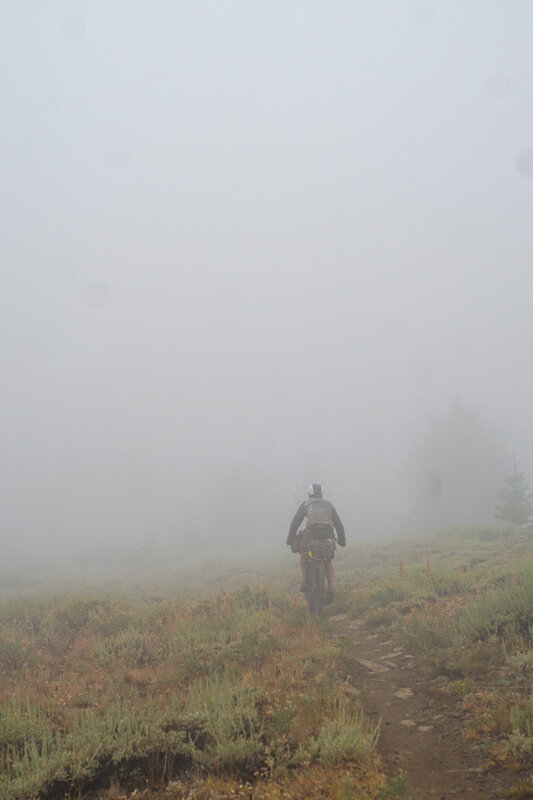 Normally this singletrack is surrounded by breathtaking views of the Bridger and Crazy mountains, but riding it 10-50ft visibility mist gave it a whole new spin. We dropped through the bermed out woods onto Olson Creek road for a easy spin down Bridger Canyon back into town.